Is CDC a regional or national business? Both! At least 80% of our customers are located in New England because the crating business tends to be regional. But we have cleanroom packaging customers from all over the country because it’s easy and relatively inexpensive to ship specialized foam inserts or flattened corrugated plastic boxes long distances. How has the competitive landscape changed over the past 25 years? Over the years, many of the local crating companies have been bought out so our competition has definitely consolidated. We compete against a few bigger players now, instead of many smaller shops. How has your customer base changed? There is less manufacturing in New England overall now, so there are fewer potential customers waiting in the wings. Luckily, we have always been focused on building long-term relationships with our clients. We think of ourselves as “packaging partners,” or even an outsourced packaging department, so we expect to be working together for the long haul. 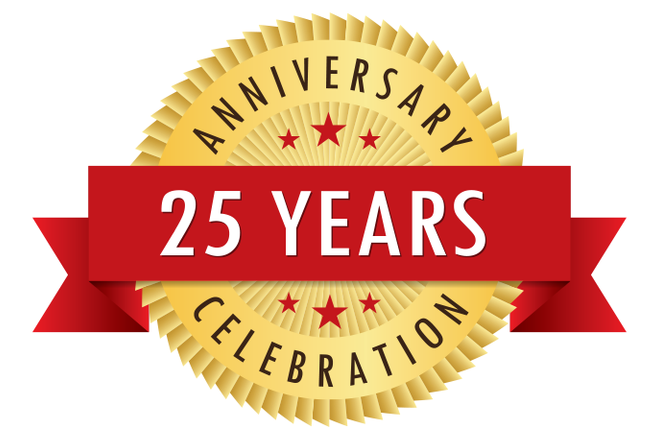 In fact, two of our customers have been with us since we first opened our doors 25 years ago! What is different about doing business in 2018 than it was in 1993? The equipment we use in the workshop is safer and more efficient, such as the computerized machine that cuts boards to specific lengths. And the machines we ship are more complex and more delicate, so the packaging we design to protect it needs to be even more customized and complicated. But, by far, the biggest change is the pace of business. I find technology to be both a freedom and a leash. It has set the expectation that everything can happen instantaneously. When we first started out, a customer would mail us a blueprint of the machine they were planning to build. We would send them a quote and then call them to work out the details. Now, some customers expect to send us specs in the morning and receive a quote via email in the afternoon. There are lots of ways to measure our growth. We started with three guys; now we have 30 employees. We started with a 3,000-square-foot workshop; in our new building, we will have 17,000 square feet of space. We use approximately 300,000 board feet of lumber per year, plus 12,000 sheets of plywood, to build crates for our customers. I would guesstimate that we have helped our customers ship roughly $7 billion worth of equipment over the years. Where do you see the business going in the next 25 years? We are still seeing growth in crating, but I expect that we will continue to do more packaging that is not strictly crating. For instance, we plan to increase the resale side of the business for products such as cleanroom foam and cardboard boxes. Being a bit more diversified will make business more predictable and also make it easier to weather any economic storms. We are also likely to introduce more automated equipment, which, along with some space upgrades, will increase our efficiency. What was it like when CDC first opened for business in 1993? Read more about the early days at CDC Packaging.